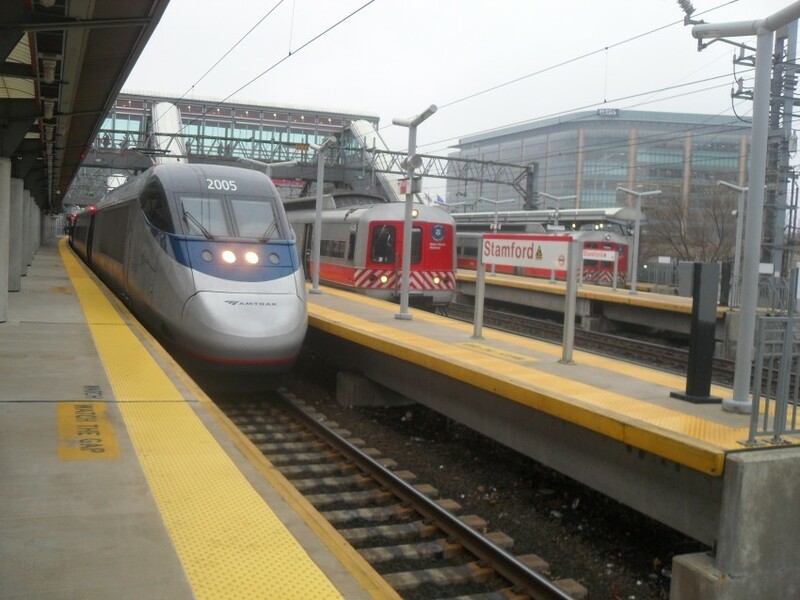 This is Amtrak Acela Power Car # 2005 along with two Metro North/CDOT M4 Railcars. Photographed by Luis Albir, January 24, 2010. Added to the photo archive by Luis Albir, February 23, 2010.